This is a picture of mine and my husband's first date. 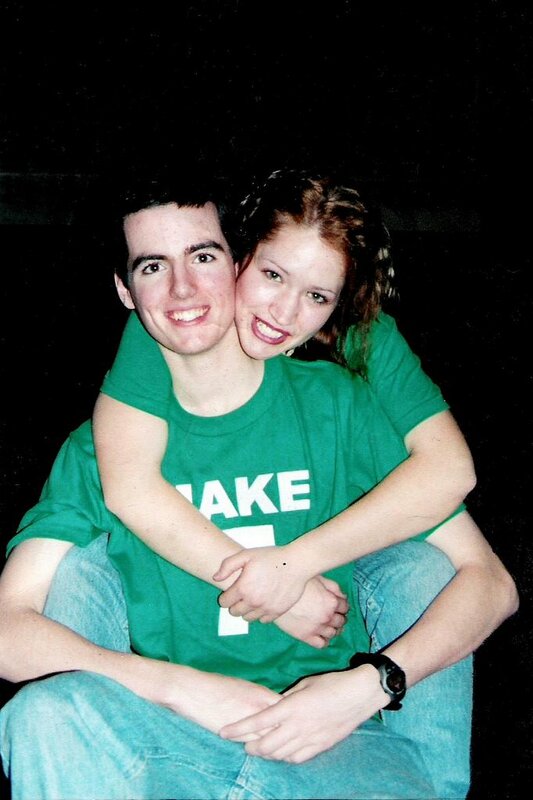 Brian took me to our high school's Christmas dance as a favor when, only days before, my then-boyfriend and I split up. We're now twenty-one and embarking upon a new path in life. Brian recently graduated from Air Force basic training. This new chapter in our lives has much potential for exciting changes. I'm no dopey-eyed half-wit who thinks that the next four years will be coasting downhill. Since April a LOT of hard work has gone into this enourmous change. But, I can't help feeling hopeful.